Dr. Susan Love published an interview on Medscape last week on the “collateral damage” of breast cancer treatments as reported by 3200 actual patients and not their doctors. She noted that doctors and patients often view things differently. For doctors, a living patient is the major sign of successful treatment. They don’t want to hear about treatment side effects that they can’t treat and cure, she says. The patients and survivors are also happy to be alive but their quality of life may be severely impaired by chemo brain, depression, anxiety, fatigue, neuropathy, and hot flashes. She calls this collateral damage rather than side effects as often these symptoms are permanent, not temporary. She doesn’t mention breasts disfigured through lumpectomy and radiation, having no. breasts at all through mastectomy, or having a bad or failed reconstruction job. Presumably, these are just the regular damage to be anticipated from breast cancer treatment. She reports that many survivors either weren’t told about these long term collateral damage effects or they were told at a time when they were so overwhelmed with other cancer information, that they were not able to absorb the message. Or if they did absorb the message, they were more concerned about staying alive than really thinking through how this collateral damage would impact their post-treatment lives. The passages of her interview that really disturbed me the most were that chemo brain and neuropathy were forever. They don’t get better. You just get used to them and find your new normal. In other words, you stay numb and dumb forever. She could have added depression, anxiety, PTSD, and impaired body image to this list as they are often long lasting, sometimes forever. I admit to being one of those who were told the “side effects” of chemotherapy (at least the second time around) and it was a blur of nightmare words and images ending with the ultimate side effect of death. Everything else was forgotten the moment it left the oncologist’s mouth. Thank God I took notes. But nothing in my notes said that chemo brain and neuropathy were forever. Or that I would eventually wind up with PTSD and free falling panic attacks. Chemo brain was supposed to end with chemo. Neuropathy was supposed to eventually go away. And no one told me just how bad a reconstruction job could be. So bad, that even oncologists and their nurses urged me to find a new plastic surgeon and get it fixed. I eventually did but after about 7 years, the implant inside the flap became encapsulated with scar tissue and is now a hard ball that juts off to the left of my body. My newest plastic surgeon is afraid to operate again for fear the whole reconstruction will collapse. So I walk around with a badly reconstructed left side and a right side that should have had the permanent implant put in it 3 years ago, dragging my feet about signing up for more surgery that will result in 2 mismatched breasts or even worse, 2 matching deformed breasts. I would always look like a hideous grotesque monster. Yes, body image issues are forever after breast cancer. I should note that he left his wife shortly after this conversation and is now remarried to a normal 2 breasted woman. From the Facebook groups I belong to, it seems many marriages end after a breast cancer diagnosis. So do many friendships. More collateral damage to add to the list? 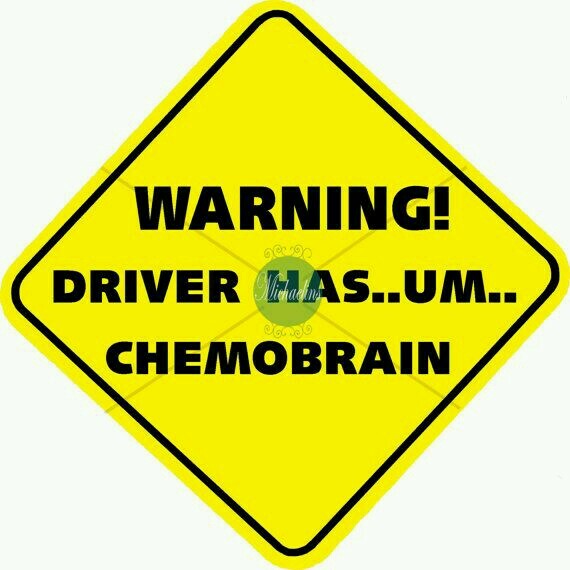 I had dealt with chemo brain before way back in 1994 when it was a slang term that patients used but wasn’t really acknowledged by doctors as a true medical condition. I had short term memory loss and word problems way back then but I seemed to be back to normal 18 months post-chemo. Ten years later, I woke up one morning with 2 fingers in my left hand permanently numb although I didn’t know it was permanent at the time. The neurologist couldn’t find anything with his shock tests so I was sent for a brain MRI. All hell broke loose then when it showed that my brain seemed shrunken (now a recognized piece of collateral damage from chemotherapy) and was covered in white spots consistent with multiple sclerosis but in the wrong parts of the brain. I still spent 3 years at the ms clinic waiting for more symptoms or for my MRI to change. Finally, I was told it wasn’t ms and then spent the next 2 years seeing every medical expert in town for a cause for my numb fingers and unusual brain MRIs. Someone suggested it could be a late arising radiation symptom. No one ever suggested it was from chemotherapy. 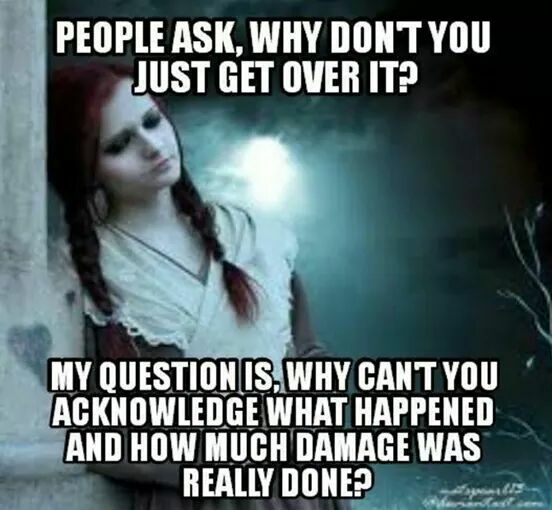 I still don’t have a definitive answer but I truly believe the numbness and the weird brain MRIs are collateral damage from my first 2 cancer treatments, involving both radiation and chemotherapy. Given that the condition has remained permanent for the last 10 years, I suspect my neuropathy is forever. 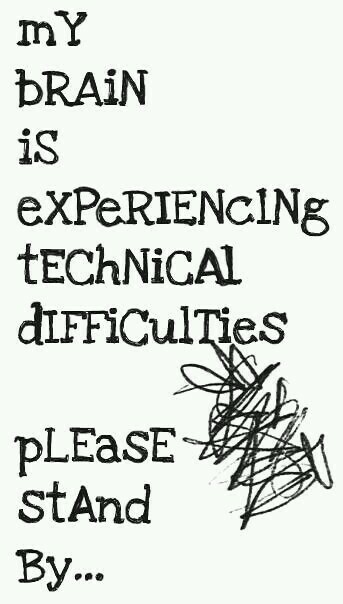 And no, I’ve never gotten used to it or found my “new normal” in dealing with it. It makes me angry and frustrated that these symptoms showed up years after active cancer treatment. What other long-term “gifts” does cancer have in store for me down the road? I had chemotherapy again in 2011. Suddenly chemo brain was a real condition that oncologists talked about seriously. I don’t recall being told that it could be a permanent condition. For me, the chemo brain has in fact improved significantly but it still rears its ugly head in times of stress or fatigue (and sometimes for no discernable reason at all). It seems to have stabalized about a year ago and I always assumed it would keep getting better as time went by. memory than it did before the second chemo? Some women have written in the comments to this blog that they suffer from radiation brain with the same symptoms as chemo brain. God help me if this is true, as I have been radiated twice along with my 2 bouts of chemotherapy. My brain must be the size of a peanut by now, covered with even more white spots and less grey matter. It is clear that research money has to go into ways of dealing with the collateral damage breast cancer treatments leave behind as well as trying to prevent the damage from happening in the first place. We don’t need more awareness of breast cancer. Everyone is aware. We don’t need to use race money to fund more races. We need to find ways to help with these survivorship issues. And even more importantly, we need research money for a cure for metastic breast cancer, the only breast cancer that actually kills. Do You Have Chemo Brain? It has taken some time, but now science and medicine acknowledge that chemo brain is a real side effect of chemotherapy. It can last for a few months or can linger on for years. Chemo brain is characterized by mental confusion, inability to multi-task, memory problems, the inability to concentrate, and vocabulary problems – either the inability to think of a common word or the inability to say the word aloud and say a different word or words instead. Chemo brain can be funny at times (particularly to one’s relatives and children) but mostly it is a frustrating and sometimes frightening state of affairs. I have had chemotherapy twice and have gone through this experience both times. Even 3 years past the second chemo, it still strikes me when I am overly tired or stressed. I composed a list of chemo brain incidents I personally experienced. 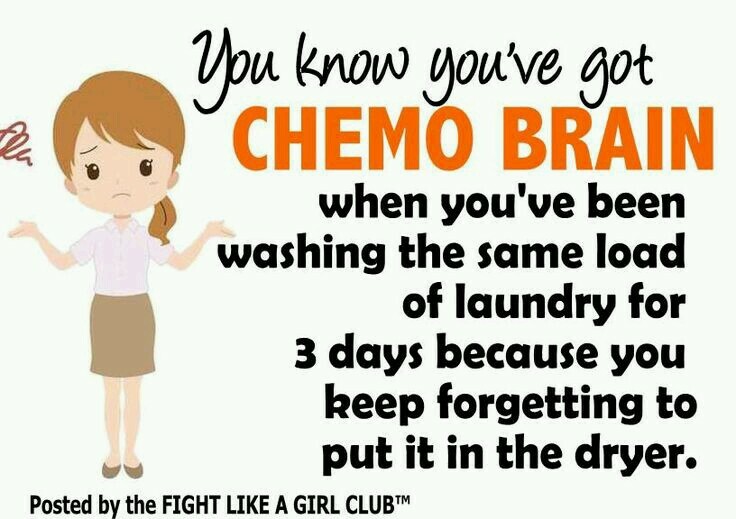 If you can relate to these, you have probably experienced chemo brain too! to put on your hamburger. open your mouth to speak. the story the first time round. These are my personal top ten hits of chemo brain. I’m sure there are many more, but frankly I have forgotten them. Please let me know I’m not alone in my daze and confusion. I’d love to hear the funny and not so funny things chemo brain did to you in the comments below. I saw a meme the other day that said something like “cancer can take away my body parts but it can’t touch my mind, my heart, or my soul.” Lovely words, heroic even, if you don’t think about them too closely. I thought about them very closely and found I disagreed strongly with the message. One way to interpret this meme is the superficial positive message of, “I am more than my disease. I am still a real person under the scars and the bald head and the chemo sickness. I am still me in my mind, heart, and soul”. On that level, I can accept the meme’s message. But when I look at the words as they are written, not searching for a positive hidden meaning, I find myself in total disagreement with them. I don’t think we can compartmentalize our lives that easily. The physical changes impact the mind, the emotions, and the spirit. It is not just the physical changes that lead to mental and emotional distress. The very process of being diagnosed with a life-threatening disease plays havoc with our minds, emotions, and our spirits. We are more than the sum of our physical parts. Our bodies, minds, emotions, and spirits are all intertwined to make up the whole package of our being. Our bodies don’t exist in some separate dimension away from the mental and emotional parts of our being. I do not believe that we come out of the other side of a cancer experience the same person we were when we went in. Dealing first with the physical changes that cancer brings upon us, they have an enormous impact on the mind, the heart (emotions), and the soul (the very core of our being and our belief system). Breast cancer treatment often strips us of our breast(s), our hair, our fertility, and sometimes our ovaries or even our whole reproductive system. Often times treatment pushes a woman into at least temporary menopause. For others, the menopause is early and is permanent. No matter what kind of treatment is involved, there is physical pain and sickness from surgery, chemotherapy, and radiation. Our whole body image can change dramatically in only a few months time. Suddenly, all the physical attributes of what makes us female are gone. This plays havoc on our self-esteem and self-confidence. Yes breasts can be reconstructed, hair will grow back, fertility may be regained if we are very young and lucky or if we had the foresight to freeze eggs or embryos in advance of chemotherapy or gynecological surgery. But breast reconstruction often involves multiple surgeries and for some, the end result is disappointing at best. And a reconstructed breast no longer has any feeling in it, no matter how cosmetically wonderful it may look. Assisted reproduction techniques are not always successful. Chemotherapy can leave behind a permanent legacy of neuropathy (numbness in the hands and feet), hormonal drugs can lead to chronic joint pains, and surgical or chemically induced menopause symptoms can be more severe than natural menopause and are unlikely to be treated with hormonal supplements as these may reignite cancer. With all these physical “side-effects” of cancer treatment, is it any wonder that many women feel distressed or depressed or highly anxious? When you look in the mirror and don’t even recognize the person you were 6 months earlier, it is bound to affect you mentally and emotionally. If you are in chronic pain and are suffering hot flashes at 30, it tends to change your outlook on life. As far as cancer not being able to touch your mind, I have one word for that. 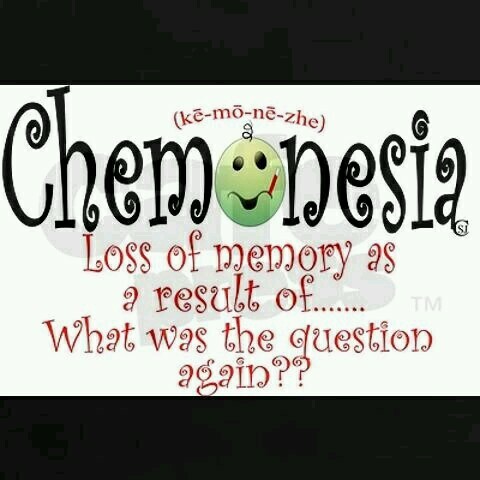 Chemobrain. It is real, it affects your memory, your concentration, and your ability to communicate effectively. It can feel as though you have had a mini-stroke as you dig through the filing cabinets of your mind to find that elusive everyday word you have used a million times before. Other times the right word is in your brain but a totally random word comes out of your mouth as if your brain and mouth were no longer connected. Then there is the disconcerting habit of losing things – your purse, your keys, your phone – only to find them right in front of you the whole time. So yes, cancer treatment can take away the mind for many of us, at least temporarily. As far as the heart or the emotions, just the very diagnosis of having a disease that can potentially kill you tends to strike fear and panic into your heart. You wait endlessly for pathology reports and the results of various scans to see if the cancer has spread. You worry about loved ones and how they will cope during treatment, or in the worst case scenario death, particularly if they are young children or aged parents that you normally care for. Even when the cancer is caught at an early stage and the prognosis is good, most women are still highly anxious about a recurrence or a future diagnosis showing the cancer has spread. Once you have had cancer, you feel your body has betrayed you once and can do so again. Your sense of safety in the world has been irrevocably affected. You have come face to face with your own mortality, realizing you just might not live to a ripe old age. These factors can bring on depression, anxiety, panic attacks, and in some cases, PTSD. So yes, cancer can and usually does attack the heart (emotions) as well as the body. 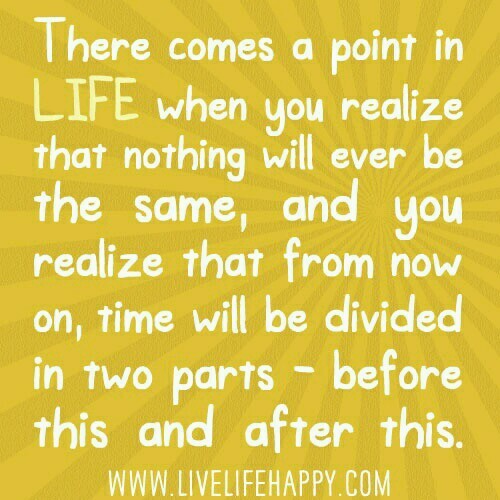 Finally, your soul or your very essence of being can be adversely affected as your perspective on life changes. Some of the changes may be for the good in that you start to appreciate the people and things around you more as you feel you came close to losing them. But it can also make you more wary of planning for the future, knowing that cancer could re-enter your life at any time. You suddenly become aware that many women are dying of this disease, women your age and younger, as well as women whose cancers were also detected early and were given an excellent prognosis. The world of cancer seems very random, more like a roll of the dice than like the orderly world of the cancer media which says early detection will keep you safe. You may search for ways to put yourself in control of your cancer by completely changing your diet and lifestyle only to hear about organic vegans who ran triathlons and died of cancer anyway. When you realize that the difference between living and dying of this disease seems to be more a matter of luck than anything else, your previously optimistic view of an orderly controlled world is essentially gone for good. Perhaps I am presenting an overly pessimistic view due to my personal history of having breast cancer 4 times. It is a rarity in the breast cancer world to have cancer strike 4 times and not spread beyond the breast. I am grateful that I have been spared from Stage 4 cancer multiple times, particularly as I also have a BRCA1 mutation to contend with. But even “good” recurrences like mine come with a huge emotional and spiritual price tag attached. I am constantly looking over my shoulder waiting for cancer to strike again. It is impossible for me to believe that this time I have “beaten” cancer as it keeps coming back for another round. Even if my breast cancer days are over, the BRCA1 mutation means I am susceptible to other forms of cancer that may be waiting in the wings to strike when I least expect it. I don’t blame cancer for all the problems in my life. But I would be lying if I said that cancer didn’t have a negative impact on all areas of my life. I don’t believe cancer only took physical body parts away from me. It took much more of a toll on my emotions and spirit that I tried my best to cover up for many years. I am still happy with my life but I miss the wide eyed optimist I used to be. I don’t think she is ever coming back again and that makes my mind, heart, and spirit sad. This is a continuation of my earlier story “Adopting After Cancer: A Love Story”. What happens when those cute black babies become black teenagers? When we first adopted our son as a newborn, complete strangers would come up to us to say he was the cutest baby they had ever seen. Many also choose, without asking permission, to ruffle and feel his hair. This latest throughout his toddlerhood and stopped abruptly when he was in the early school grades. My daughter came along 16 months after my son, and she also got a lot of attention for her cuteness and later her burgeoning beauty. People often mistook them for twins even though my son was 3 times the size of my daughter due to the difference in age. I sold children’s designer clothes on EBay for a time and my daughter was often my model. People would write to me about my adorable model although they wouldn’t necessarily purchase the clothes. After 4 breast cancers since 1988, I’ve lost track of the usual markers of cancerversaries. I can remember month and year of diagnoses but can no longer keep specific dates in my head. Also, there is confusion about what date to use for 3 of my cancers where the words and behavior of mammogram technicians and doctors resulted in my”knowing” I had cancer before the official biopsy results were in. In any event, February 1988 marked my first breast cancer diagnosis at 29. That makes it 27 years of “living on borrowed time” as that first cancer was caught by me through a fluke of accidentally touching the right place at the right time and following up immediately with my doctor. Had it not been for the accidental touch, the tumor would have continued to grow and may well have spread into Stage 4 cancer. Last year, I was very excited about making it to 26 years since first diagnosis. Maybe part of what makes me uneasy about claiming 27 years of survival is that I had a total of 4 breast cancers during this period. Other people seem to count their survival status as cancer free time and start counting again from zero once they have had a recurrence. If that is the “right” way to do things, I guess I am only a 3.5 year survivor as my last breast cancer was in July, 2011. Do people think I am a fraud claiming 27 years of survivorship when many of those years were spent in treatment for new primary cancers and recurrences? I am always careful to say 27 years from first diagnosis so I don’t think I am misleading anyone. What really has me bothered this year is that for the last 6 weeks or so, my Facebook feed has been filled by the deaths of so many young breast cancer patients. It seems every 2 or 3 days, someone from one of my Facebook groups has passed on, leaving a young family behind. This year I felt uncomfortable announcing 27 years of survival from first diagnosis under the circumstances of all the surrounding death in the air. Some people say they draw hope from my longevity, particularly in light of the multiple bouts of triple negative cancer, my BRCA1 status, and my lack of what would now be considered optimal treatment for someone with my history. On the other hand, I don’t doubt that it strikes resentment in some people’s hearts that I continue to live despite all the odds stacked against me while others die shortly after diagnosis or after being told their prognosis was excellent as their cancer was detected early, they received aggressive treatment, and they were BRCA negative. Announcing 27 years of longevity in this atmosphere, seems a bit like bragging or gloating, which is the last thing I want to do. I have no idea why I am still alive considering all the cards stacked against me. All I can do is get philosophical and say this just isn’t my time to die. I have no secrets for longevity or avoiding Mets and we all know I have no secrets for avoiding recurrences! Along with the tragic death announcements, there has been an increase in the amount of posts from women speculating on what caused their cancer and what they can do to prevent a recurrence. I have no answers for either causation or prevention. I have said before that cancer seems pretty random to me striking both triathlete vegans and self-admitted couch potatoes and everyone in between. I have yet to see a strong pattern or have an aha moment where all the pieces of the puzzle fall into place for me. The same goes for recurrences and metastasis. Those who radically change their eating habits and make other lifestyle changes seem as likely to have their cancer come back as a recurrence or a metastasis as do those who change very little. After 27 years of watching cancer prevention tips come and go and sometimes be turned completely around (I just read that high doses of soy are good for preventing cancer after 20 years of it being cited as a cancer promotor), I personally have little faith in these promises of prevention or a cure. Along with the string of deaths, there seem to be an unusually high number of women experiencing either local recurrences or Mets. The combination of the deaths and the disease progression have created high levels of anxiety in the support groups. You start to wonder if you are next in line for some cancer catastrophe to strike your life. This probably explains all the comments about cancer causation and prevention. I want to feel good about my 27 years of post-diagnosis survival. The road has been hard and bumpy and like everyone else, I have no idea what is around the next corner. I have spun the cancer Wheel of Fortune 4 times now and have been lucky to have only local recurrences. But how many times can you spin that wheel and avoid the slots marked for metastasizes and death? I think I have used up all my get out of jail free cards and if forced to spin again, I don’t anticipate a 5th local recurrence. cancerversary in the midst of all this pain. So I will be privately pleased to still be alive and able to watch my children grow up. At the same time, I will continue to mourn for the lives lost or forever altered by new recurrences or metastic disease. This will be a very quiet celebration of life and one that I will not take for granted. Thinking of my fallen pink sisters, I think “there but for the grace of God go I”. Is There A Hypochondriac In The House? Ask almost any cancer survivor about whether they have become a bit of a hypochondriac, and the answer is usually a resounding yes. I have a confession to make. I swing from extreme hypochondria to total denial of any symptoms I may have. When you have a disease that can travel to your lungs, bones, liver, and brain (and sometimes skin, pancreas, ovaries, and uterus, particularly if you have a BRCA mutation), that pretty much covers most of the human body. Most of us didn’t start off as hypochondriacs. It almost seems to be a standard side effect of the disease. It doesn’t help to be living in a time where medical symptoms and their potential causes are a mere Google search away. We are not stupid people. We know that we can get non-cancer related illnesses like the flu, arthritis, and broken bones due to trauma. But still the aches and pains of everyday living take on a new urgency when they could be the early signs of bone or liver or brain metastisies, particularly if we don’t recall doing anything that would have brought the pain on in the first place. Reading metastic disease questions and answers can really put a scare into you. Someone will invariably ask, “how did you know you had bone or brain or lung Mets?” and the answer is often a vague recollection of pain in a hip or frequent headaches or breathlessness. And it is so easy to think I have pain in my hip or bad headaches or trouble catching my breath when I climb up a flight of stairs. That realization combined with a short visit to Dr. Google can be enough to convince you for an hour or a night or a week that you too have metastatic cancer. It really doesn’t matter if the medical literature says that rarely do bone Mets strike below the knee or elbow. Google cancer of the hand or foot and you are bound to find a case study or 2 of some poor person who had this rare metastasis strike them. If they can get it, why not you? Much of this crazy making hypochondria strikes once treatment has ended and you aren’t due to see your oncologist for another 4 months. You don’t know if you are overreacting or if in fact you are experiencing early signs of metastisis. Many cancer agencies have a nurse on call who can help evaluate your symptoms over the phone. Your family doctor can also be a source of comfort in checking out more common reasons for your symptoms. As they taught us in law school, if you hear hoof beats outside your window, think horses, not zebras. Some of the rules of thumb I have learned from my medical sources is to wait a few days and see, for example, if the body aches were early signs of a cold or flu or muscle strain from an activity you may have forgotten. Keep a record of your pain – the type, duration, whether it is worse at night, and if over the counter medicines relieve it. If it is getting worse or is keeping you up at night, by all means get it checked out. It may still be non-cancer related but it needs to be checked out if only for your peace of mind. And sometimes it really is a herd of zebras rushing by your window so better to be safe than sorry. A lot of the hypochondria does disappear with time, once you have experienced symptoms that can be explained as coming from non-cancer sources. If you have had a cancer recurrence or new primary, the hypochondria will return with a vengeance. If your body can get cancer again after surgery, chemo, and/or radiation, why couldn’t that cancer have spread before the recurrence was detected? There are no easy answers. Sometimes a recurrence has already spread to distant body parts. These should be picked up by various scans or MRI’s. Other times, your bodily pains are mere coincidence or are actually brought on by the stress of a new cancer diagnosis. For example, pounding headaches, nausea, and an upset stomach can be an an emotional reaction to the stress of a recurrence being diagnosed and not a symptom that the cancer has spread elsewhere in the body. I can give a few examples from my own life to illustrate how this has affected me. When I was first treated for cancer, every piece of scar tissue seemed like a new lump. There were a few trips back to the surgeon to be checked out, more mammograms, and even a biopsy just to be sure. After hearing the message scar tissue over and over again, I eventually calmed down and stopped looking for symptoms. Shortly before my 5 year “cure” check-up, I stepped funny off a curb and broke my ankle. I chalked it up to bad luck and went to my 5 year mammogram in a cast and on crutches. When they found a new breast tumor, I was suddenly convinced that cancer had spread to my ankle bone. No matter how many people looked at the x-ray of my ankle, I was convinced I had metastic cancer of the ankle. Finally a bone scan and ct scan ruled out any metastisis to the bone and eventually, I believed the doctors. Something similar happened after my last cancer when I tripped on the bottom step and somehow broke my foot. It had seemed like a nothing accident and again it took a whole team of doctors to convince me this was just a freak twisting accident and not evidence of bone cancer of the foot. Finally, I had a week of burning pains in my scalp followed by what looked like hives on one side of my face. It wasn’t scalp or skin cancer. It was shingles. Painful awful shingles on half of my scalp and face but nothing that was cancer related. Over the 27 years of fighting cancer, I have self-diagnosed myself with a brain tumor, lung Mets, hand cancer, and a few other medical oddities. Every time I am proved wrong, I become more reluctant to have my symptoms checked out for fear of being seen as the complete neurotic I truly can be. Some of us find it hard to draw the line between thinking the worst of every bodily pain and knowing when it is time to seriously check things out. My inner compass doesn’t function very well anymore after so many false alarms. I have swung to the other side of the pendulum, not getting things checked out in a timely manner. I ignored the raging cough that lasted for 6 weeks and left me exhausted only to find I had raging bronchitis that could have been treated weeks earlier. I am now so paranoid about being seen as a hypochondriac that I let things drag on for way too long, creating both mental and physical pain that could have been treated more promptly. Have you found a balance between hypochondria and getting attention for legitimate health complaints? If you have any suggestions as to how to strike the proper balance, I’d love to hear from you in the comments below. If this is something you still struggle with, I’d love to hear from you too. Some people skip my posts as they don’t want to know that breast cancer can strike more than once. They believe that my story must be a real downer as who wouldn’t be depressed to have their cancer come back again and again and again? Others look to find differences in their stories from mine to reassure themselves that this will not happen to them. I don’t know how many people have asked me if this whole mess couldn’t have been avoided if I just had a double mastectomy with my first breast cancer at 29? Hindsight is usually 20/20 but even my oncologists aren’t convinced that would have stopped the cancer from coming back. I had new primaries, not recurrences, and it is very possible they still would have grown in my mastectomy scars. I would like to assure you my story is not all doom and gloom and there are many positive conclusions that can be drawn from my story. I wrote at length as to why I made the treatment decisions I did in my blog post entitled. Why I Chose Not To Have A Double Mastectomy. Basically, it was a combination of historical reasons (double mastectomies were not offered as an option in 1988 when there was cancer in only one breast), lack of the medical knowledge we have now (there was no disease called triple negative breast cancer then as the third component -herceptin – had yet to be discovered) and genetic testing did not exist until Cancer 3 and the early tests were less comprehensive than they are now. I in fact had BRCA testing in the mid-90s and was told I was negative, a “fact” I believed for the next 16 years, although I later learned I had a major BRCA1 mutation. The other factor consisted of personal reasons for choosing the options I did. With no internet and no support groups for young women with breast cancer, I did not even know of young women with mastectomies, let alone double mastectomies. I was 29, then 34, and then 36 when my first 3 breast cancers struck. I was single, childless, and reconstruction surgery was not terribly advanced, and I adamantly didn’t want a mastectomy. I got one anyway at 34 when my cancer returned in the form of a new primary in the same breast that had a prior lumpectomy and radiation treatment. Mastectomy was the only option. Reconstruction was very bad and it turned me off from having a second mastectomy when cancer struck in the other breast 3 years later. In any event, it serves no purpose to speculate if things would have turned out differently had my treatment choices been different all those years ago. I made the best decisions I could at the time in consultation with my doctors based on the state of medical knowledge at the time and my personal preferences for treatment. To be a 4 time cancer survivor without Mets who has lived almost 27 years since the time of first diagnosis is like being a medical unicorn. There aren’t many like me around. My mother battled 4 different types of cancer in a 12 year period – breast, metastic ovarian, and 2 different types of colon cancer, the second one metastic. Other than that, I don’t know anyone else with a cancer history similar to my own. It can be a lonely feeling at times, not having any real life examples of others who have walked a similar journey. What happens next? Do I live to a ripe old age, dying for reasons unrelated to cancer? Is there going to be breast cancer 5 and if so, will this be the one that metastisizes? Will the earlier cancers metastasize and put me into Stage 4 cancer territory? The doctors have no answers for me. So a big part of having had 4 different breast cancers is the uncertainty on the part of myself and my doctors as to what happens next. Having cancer multiple times, plays havoc on your mind and emotions. Just when you think you are “cured” and cancer is a thing of the past, it rears its ugly head again, announcing, “I’m back…” Having one bout of cancer is incredibly stressful to your body, mind, and spirit. Having it 4 times is downright demoralizing, with the initial thought each time that I can’t go through this yet again. But really what choice do you have? If you want a shot at living, you”ll have the surgery and take the chemo and/or radiation recommended. Having watched an aunt die from completely untreated cancer, that is not a path I’m willing to take. Unfortunately for me, experiencing the trauma of cancer over and over again, led to depression, panic attacks, and ultimately PTSD. I am finally getting the professional help I need to tackle these issues. In a culture that says breast cancer patients have to be brimming with positivity all the time, this fake front I believe contributed to my PTSD condition. Never being able to acknowledge how you really feel about going through treatment one more time, can lead to a crazy-making life. Another thing that I have had to grapple with is survivor’s guilt. Why have I been able to stay Mets-free and survive 4 different aggressive triple negative breast cancers with a highly defective BRCA1 gene? Why do others get breast cancer once, have it metastasize, and die from the disease while mine functions more like a chronic disease that flares up every now and then? I have no answers to this question. No answers at all. 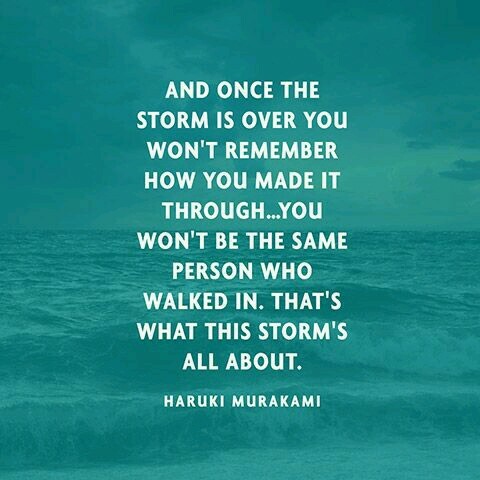 The flip side of survivor’s guilt is that hopefully it takes away people’s fears, at least a little bit, when the newly diagnosed hear my story. So many women come into the online Facebook groups that deal with triple negative breast cancer, already convinced they have been handed a death sentence. Others worry that they have been diagnosed with a BRCA gene and that combined with triple negative breast cancer, dooms them to a short life and an early death. I try to point out that I have had high grade triple negative cancer 4 times and have a major BRCA1 mutation and am still alive and kicking almost 27 years later. I have not been a model cancer patient by any means but I am still alive. Neither triple negative cancer nor a BRCA mutation or both necessarily mean an immediate death sentence. I hope my story helps to reinforce this message and allows the patient reading it hope for a long future. The 4 bouts of cancer are a very rare occurrence and it is my wish that people stop fixating on the 4 times and focus on the 27 years of extended life. I found this beautiful post in my email feed and was stunned to realize it was about me. I am truly touched and overwhelmed. I am reblogging it here so I can keep it forever. The video is very inspiring as well. Thank you Looking For The Light for writing this beautiful piece for me. I was first diagnosed with breast cancer at 29. 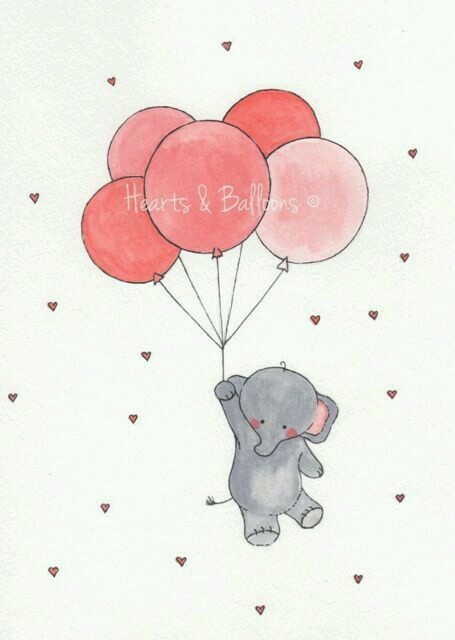 February,2015 will be 27 years from the time of my first diagnosis. I have spent almost half my life battling breast cancer. “Finding your new normal” is one of those popular buzz phrases spoken by oncologists, counsellors, and other cancer survivors. I’ve always felt that this word was like a password to a secret clubhouse that everyone in Cancerland belongs to except for me. Although I know this password, I am obviously missing something that would allow me to gain entry. Maybe a special knock or a secret handshake is also required. While I can spout the phrase “new normal” without difficulty, I’ve never quite understood how those words applied to my life. If we uttered the phrase “changes to your life” due to cancer, I could easily relate to that. I could draw up a long list of the ways my life changed with the first diagnosis,the first and second mastectomy,the bad reconstruction job,the repeated bouts of cancer,and the discovery that I lived for 16 years under the illusion I was BRCA negative when in fact I was BRCA1 positive all the time. Maybe I have problems relating to the word “normal”. The changes that happened to my mind, body, and emotions were anything but “normal” as we usually think of the term. Losing my breasts, lymph nodes,fertility,and ovaries may be normal for BRCA positive cancer survivors and previvors but there is nothing normal about that in terms of the population at large. Being diagnosed with 3 separate breast cancers at 29, 34,and 36 is statistically improbable in the breast cancer world. Having a fourth breast cancer at 52 puts me into a rare category that very few breast cancer patients attain (or would want to attain). Top that off with all 4 cancers being of the triple negative variety (not influenced by hormones) which is a reasonably rare breast cancer, and there is very little that is normal about my world. If we are talking about acknowledging that these things happened to me and that they form part of my present reality, I can do that. Have I fully accepted, embraced, and integrated these changes into my life in a positive and life-affirming manner? Uh no. Although I can be happy and positive much of the time, I am not happy that I had to go through these events at such a young age. I’m also not happy that I had to have my cancer come back over and over and over again. This is my life, this is my reality, this is my world but there is nothing normal about it. And there is little I can do to normalize my experiences so that they make some sort of sense in the context of the rest of my life. I try to think back to what my old normal was. I was an only child who spent the first 12 years of her childhood growing up in a typical suburban neighborhood. My parents and I attended Baptist church every Sunday and my parents were complete tee-totalers. This “normal” existence underwent a dramatic change in 8th grade when my father went from complete tee-totaler to a full blown raging alcoholic and valium addict in the course of one year. My world was completely turned upside down and I had no idea how to deal with this “new normal”. My father’s alcoholism progressed with great speed and his moods veered between sickeningly sentimental and raging mad, with very little in between. My lifelong battle with anxiety and depression started in the 8th grade and progressively got worse throughout high school. My mother felt the best way to protect me was to get me out of the house as soon as I graduated high school. We lived in a university town so we planned to find a major that wasn’t offered locally. We hit on Criminology as it was only available 1000 miles a way. Not the best way to plan for your future education, but it achieved its purpose and I was able to leave home at 17. The next 12 years were the college and early employment years. I attained my BA in Criminology, gained some work experience as a probation officer, went back to university to complete law school and spent a grueling year articling (similar to interning) with a large law firm in Vancouver. I had dated widely, fallen madly in love at least twice, broken a few hearts and had mine broken in return. I never doubted that I would have a law career or that I would marry and raise a family. Those were the fun years filled with plans, hopes, and dreams about the future. After the chaos of growing up in an alcoholic home, I loved my fun filled yet hard working “new normal”. On the eve of my entry into the legal profession, I had my first cancer diagnosis. It changed me in ways that still affect me today. The career was put on hold. The doctors said no pregnancies for 5 years or else I would die, so marriage and a family were put on hold as well. Although I only had a lumpectomy and radiation, I developed major body image issues as I knew no one even remotely in my age group who had a weird looking mismatched breast. I became shy about dating, not knowing when to break it to them that I had undergone breast cancer treatment. So dating was also put on hold. Fear,anxiety,and social unease became my constant companions after that first diagnosis and continue to haunt me today. Is this considered my first experience with cancer’s “new normal”? I still believed that being cancer free for 5 years meant you were cured. Over that first 5 year period, I did launch my law career and began dating again. I was offered a promotion and a move to a new city hours before I went for my 5 year mammogram. I told my employer that I would be back shortly, that this mammogram was just a formality, as all prior mammograms had been clear. Unfortunately for me, this mammogram showed cancer again and a mastectomy and 9 months of chemotherapy were my only options. Good-bye promotion. Good-bye new city. And the 5 year no pregnancy rule started from scratch all over again. I was off work for 18 months. I had lost my last illusion about being cured of cancer. Where the first cancer had brought fear and self-doubt into my life, the second cancer brought a kind of craziness. The world which I always believed was a fair and orderly place, became chaotic and events seemed completely random. Whether I lived or died seemed completely out of my control. Any plans I tried to make for my future seemed to be quashed as soon as they were made. It was clear that there were many things my oncologists did not know, many questions they could not answer. I felt a lot of confusion. It seemed that whenever fate was about to give me a big break, cancer re-entered the picture to turn my dreams to dust. Was this feeling of hopelessness and helplessness my “new normal” for my second cancer? I had reconstruction surgery which looked bad even from the start. Even doctors and nurses at the Cancer Clinic would comment that I should see another plastic surgeon to try to fix it. My breast resembled a lumpy flattened pancake but as it had taken a long time to heal, I wasn’t eager to go under the knife again. My body image issues and self-consciousness grew considerably worse. 18 months after returning to work, a new cancer was found in the remaining breast. I had a new surgeon who said doctors had recently abandoned the 5 year pregnancy rule and that if I wanted a child, I should hurry up as I was already 36 and could have early ovarian failure due to the chemotherapy. I got married and we soon found ourselves at a fertility clinic. 2 rounds of IVF were unsuccessful so we formulated a Plan B. We started the adoption process and a year later, we had a handsome baby boy. 16 months after that, we were blessed with a beautiful baby girl. I took one of the early BRCA tests and was declared BRCA negative. Life was good. Until one day it wasn’t. The marriage imploded, I was blindsided,and I was left as a single Mom to a 22 month old toddler and a six month old baby. Once again, my hopes and dreams were shattered and life seemed as random and arbitrary as it had during my second cancer. The years went by, the kids kept growing, and the cancer stayed away. After 16 cancer free years, the cancer came back. I was looking at another mastectomy and more chemotherapy. Only this time around, there were children involved, ages 9 and 11. This time I really was afraid of dying as I didn’t want them to lose their mother at such young ages. The kids were scared too but wouldn’t really say so. My son wanted me to appear as normal as possible and not look like a cancer patient. He wanted me in a wig and full make-up 24/7 (didn’t happen). My daughter would feel sick with vague symptoms on chemo days or oncology visits. She wanted to accompany me to all these appointments as that seemed to make her feel more secure. It was another crazy hysterical chaotic year but we muddled through it somehow. After cancer 4, I was encouraged to retake the BRCA test as it was now looking at things it hadn’t looked for originally. Suddenly, I was BRCA1 positive and at high risk for ovarian cancer. There was a great rush to have my ovaries and fallopian tubes removed as soon as possible. With Cancer 4, I became a bit of a medical curiosity given that I was BRCA1 positive, had an aggressive grade of an aggressive cancer, and had survived for so long without the cancer metastasizing outside my breasts. At work,things were looked at somewhat differently. Between the cancers and the 2 adoption leaves, my coworkers saw me as someone who was rarely at work. The office atmosphere was decidedly chilly upon my return from Cancer 4. My self-esteem was plummeting, I still had side effects from chemo brain, and I started feeling incompetent in a job I had held for 25 years. A year ago, I took a medical leave and have since been diagnosed with post-traumatic stress disorder. My “newest new normal” now has a mixed diagnosis of PTSD, depression, and anxiety. I no longer plan too far ahead for fear of jinxing any happy days that lay ahead. I worry about my children’s future – who will love them and look after them if I am gone? At the same time, I am forever grateful that I get to be their Mom. I try to live each day as if it may be my last. Is this the “new normal” everyone talks about? Is it some combination of hard lessons learned and the feeling of walking on a trapeeze with no safety net underneath? The feeling that my luck will once again run out and I will be forced to take another spin on the Cancer Roulette Wheel of Fortune? Is it all those scary feelings combined with a fierce protective love for my children that keeps me going forward each day? What does the “new normal” of cancer feel like to you? Have I completely missed the boat on this one? Is it supposed to be a positive thing or a negative thing? I really would like to hear your thoughts in the comments below. When you are a parent, you want to protect your children from all the bad things in life as you love them so fiercely. You feel like this lioness with her cub, trying to shelter them from all impending harm. But when you are diagnosed with cancer, you are the one that sends your children’s world into a chaotic tailspin. Between the shock of diagnosis, the demands of treatment, and the uncertainty of what the future holds for you and your family, your children can’t help but be threatened by this disease that has invaded their lives. Although I have had breast cancer 4 times, I only had children during the last bout in 2011. At that time, they were 9 and 11, old enough to understand what was going on but young enough that they still needed a parent who could be there for them 24/7. As a single mother with no other family for support, I found the competing demands of parenthood vs the painful realities of illness very overwhelming. My children knew since a very young age that I had cancer 3 times way back before they were born. They were perversely proud of this fact about me as I guess it made them think I was Wonder Woman, able to beat cancer into submission at a single bound. When after being cancer free for 16 years I learned it was back, I panicked about how I would explain this to my son and daughter. I had no idea how we would manage as in the past there was always someone around to take care of me. This time I was their caretaker and no one was volunteering to look after me (or them). The children knew something was wrong before I was ready to have the cancer discussion. There were too many doctor’s appointments, too many whispered phone calls, and a few too many tears shed watching children’s television shows that weren’t particularly sad or sentimental. When your Mom bursts into tears over Sponge Bob’s latest escapade, the children fear the worst is about to happen. When they asked if they had done something to make Mommy so sad all the time, I knew I had to tell them the truth. I did a little research on how to talk to your school age children about a cancer diagnosis. The articles mainly touch on three points which have been called the 3 “c” words. The first point is to call it cancer, not a generic sickness or a boo boo. The reasoning is that if they have a name and explanation of what your condition is, they will be less likely to worry about other more horrendous illnesses (maybe Ebola?) you may have. It helps as well for them to associate a specific term for the disease as they may become overly fearful of the word, “sick” as it applies to them. If they associate the word “sick” with Mommy having major surgery and going bald they may panic when someone calls them sick when they complain of a tummy ache or a sore throat. They may think their sickness may lead to the same extreme consequences that happened to Mommy. So instead of turning your children into hypochondriacs by using the word “sickness”, use the word “cancer” so they can differentiate between the two conditions. This was the easy part for me. My children knew what cancer was because of my past history. On the other hand, they had never lived through it before and needed some explanations of the possible treatments that might be involved and the consequences of those. My 11 year old son became fixated on the fact that I would lose my hair and that seemingly was his greatest concern throughout my treatment. Talking to him about my cancer now 4 years later, he admits he was secretly worried sick I would die and leave him. But it was safer for him to worry outwardly about my baldness, wanting me to wear a wig, even to sleep. My little caps and turbans were disturbing to him (let alone my bald head) even in the privacy of our own home. My 9 year old daughter took my baldness and various head coverings in stride. She loved coming with me to the Cancer Clinic where free donated wigs and head coverings were there to try on and take home. She became my fashion co-ordinator, ensuring my hat matched my outfit. She showed her discomfort about my cancer in other ways. For example, she would often feign sickness on my chemo days or at times I had oncology appointments. She knew I considered her too young to leave at home alone so she would often accompany me to these appointments. This was her way of exerting control of the situation. She seemed to think that if I went to a hospital alone, they would keep me and I would never return home. Even though I strongly suspected her vague symptoms of illness were fake, it was clear that her distress levels were real. Taking her along to these appointments reduced her anxiety while insisting she attend school led to huge emotional meltdowns every time. It seemed the lesser of the two evils at the time although in hindsight, it would have been better for her education if I had a back-up person to send her to on those appointment days. My guess is that she would have recovered from her symptoms quickly and attended school to be with her friends. While neither child ever actively worried aloud in my presence that they were afraid I was going to die, 4 years later it is clear that was underlying their behaviour all along. The second “c” word recommended to be included in any discussion of cancer with children is the word “contagious”. It is important that children know they will not catch cancer from you in the same way they could catch a cold. This encourages continued close contact like hugs and kisses, without the child worrying they too will become sick. My children seemed to readily understand this concept and were not afraid of physical contact with me. The only times physical contact became a challenge were after the mastectomy and partial reconstruction, when I returned home sore with 3 drains hanging down. They had to be reminded that Mommy loved them but couldn’t tolerate a big bear hug quite yet. The other times physical contact became an issue were during chemo when they had a cold or flu and they were the contagious ones. They had to be reminded that my immune system was weak and if I caught their bug, I could get very sick. They seemed to accept that without question. I was the one who suffered guilt from not being able to care for them as a mother should when some bug got them down. The third “c” word is “causation” in that Mommy’s cancer was not caused by anything her children did. The experts say that children under 13 are still in a developmental stage where they may blame themselves when something bad happens in the family. They may think that Mommy got cancer because I always nag her for new toys or because I don’t clean my room when she tells me to. I did reassure my children that they did not cause my cancer in any way. They both looked at me blankly as if the thought had never crossed their minds. That may be explainable by their knowledge that I had breast cancer 3 times before they were born. If they didn’t cause the first 3, why on earth would they think they caused the fourth cancer? To help my children better understand my illness and their feelings about it, I brought home every age appropriate, “when your parent has cancer” book the Cancer Clinic had available. Although both enjoy reading, neither child showed any interest in the books even when I said we could look at them together. Maybe they thought we have to live with this stuff everyday, why would we want to read about it too? Some cancer centers have programs specifically for children with parents living with cancer. We attended a half day program which the kids enjoyed very much as they saw others their own age living with a parent like myself. My daughter and I attended a Look Good, Feel Good program where we got to play around with and take home various cosmetics and wigs. My daughter decided I needed a purple wig to liven up my appearance so I would sometimes wear it at home for fun. This drove my son crazy as while he wanted me in a wig at all times, I was only supposed to wear wigs that were of the same color and style as my natural hair. Trying to be a parent with cancer is challenging at best, although some of the sweetest memories of my life come from that period. Sometimes a simple caring gesture or word from one of my children would be enough to lift my mood for days on end. We did still manage to have birthday parties and a few fun outings during this year. Even at my sickest, when I was hospitalized for 4 days a week after my first chemo, the children got to spend one night with me in a private hospital room, a fun first for both of them. Unfortunately, between the chemo brain and the PTSD, much of the year of Cancer 4 is a hazy blur to me. My children remember it better than I do. If I had to relive that experience again, I would seek out more support for both myself and the children. I also would have looked into one of the free camps for cancer families as we all needed a vacation after the previous year. They are just starting up in Canada but there are several established places in the US we might have qualified for had I known about them at the time. While parenting with cancer can be tough going at times, especially for a single parent, it is doable as long as you can let go of your expectations of what perfect family life is supposed to look like. Sometimes a picnic on the floor altogether as a family can be more fun and memorable than a standard dinner at 5:00 gathered around the kitchen table. It’s your cancer, your family, and your lives together that determine how you best muddle through this difficult family time. AKA: Our Mexican Adventure and More! !